In working with an Inner Critic part using IFS, you first must unblend from the Critic and the Criticized Child. The next step, involves checking to see how you are feeling toward the Critic to determine whether or n ot you are in Self with respect to it. Being genuinely open to your Inner Critic is not easy. It has been causing you pain, so it is natural for you to be angry with it. It is understandable if you judge it and want to be rid of it. However, approaching the Critic (or any part) with these attitudes won’t lead to changing it. These attitudes aren’t coming from your Self; they are coming from another part of you that I call the Inner Defender because it wants to defend you from the Critic. Often the Inner Defender feels judgmental and angry toward the Critic. It may try to dismiss the Critic or even banish it from your psyche. But you can’t get rid of a part, and the Critic usually fights back against attempts to dismiss it. Sometimes your Inner Defender argues with the Inner Critic. If the Critic says that you are worthless, the Defender tries to prove that you are a good person. If the Critic says you can’t succeed, the Defender argues that you can. It wants to engage with the Critic and defend your goodness and your right to be yourself. It wants to fight against being controlled by the Critic. For example, Sarah had an Inner Defender that was angry and rebellious toward her Critic and wanted to convince the Critic that she was a valuable person who could make it in the world. While it makes sense that your Inner Defender wants to champion you, engaging with the Critic in this way usually doesn’t work. The Critic often wins the argument, or, if your Inner Defender wins for the moment, the Critic may redouble its attacks later. In addition, this approach creates inner conflict. If your Inner Critic tells you how to behave or not behave, then you might also have an Inner Rebel. This is similar to the Inner Defender except that its concern is inner autonomy. It doesn’t want to be pushed around by an Inner Critic, so it defies the Critic. It says, “Don’t tell me what to do.” Even if the Critic’s ideas are good for you, the Inner Rebel may go against them in order to preserve its sense of personal power. This can make it difficult to follow through on disciplines needed for health, exercise, or spiritual growth. Now let’s discuss how to unblend from the Inner Defender (or Rebel). Just as with any concerned part, you ask it to step aside so you can get to know the Critic from an open place. However, your Inner Defender may be reluctant to do this because it knows how much pain the Critic has been causing you. The way around this is to explain to the Inner Defender that the Critic is trying to help and protect you, even if you don’t yet understand how. Then ask if the Defender would be willing to step aside and allow you to get to know the Critic so you can discover its positive intent. When the Inner Defender has stepped aside, you will be open to getting to know the Critic from its perspective, which will ultimately lead to transforming it. For more information on the Inner Critic and IFS, click here, or read the book Freedom from Your Inner Critic. Whenever an Inner Critic part is active, there are actually two parts involved. In addition to the Critic (which is a protector), there is an exile (which I call the Criticized Child) that is receiving the Critic’s judgments, believing them, and feeling bad about itself. Or if the Critic is telling you how to behave or not behave, the Criticized Child accepts these rules and tries to live by them, no matter how constricting and harmful that is. Here is how to access these parts using IFS. Most people access an Inner Critic part by listening to its attacking words or seeing an image of it. For example, Sarah’s Critic said that she was worthless, and she had an image of it as a huge monster. You can also access parts through body sensations or emotions. However, when you access an Inner Critic part in this way, you might feel hurt, depressed, or hopeless—perhaps your chest is collapsed or there is a weight on your shoulders or pain in your heart. These sensations are coming from the vulnerable Criticized Child, not the Critic. If you access the Inner Critic through emotions, you might feel angry or judgmental toward yourself. It is important to access the feelings and sensations of the Child, but don’t confuse them with those of the Critic. 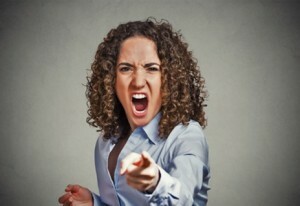 One of the main reasons our Inner Critic parts judge us is to enforce the certain kind of behavior they want from us. They may want us to be perfect, hardworking, moderate, or cautious, for example. If a Taskmaster Critic thinks it is important for you to always have your nose to the proverbial grindstone, it will push you to overwork and attack you when you don’t. However, if you are generally a conscientious, focused worker, then there isn’t so much need for a Taskmaster Critic. You might very well have a Taskmaster Part of you that works too hard, but it wouldn’t be a Critic; it would just be an overworking part. If you have a part that follows the rules, there is little need for a Critic to enforce them. For example, if you have a Dieter part that is very careful about the food you eat, there would be no need for an Inner Controller Critic to attack you. The Dieter might be overly rigid, but if it doesn’t judge the way you eat, it’s not a Critic. Because of the enforcer nature of Critics, one might suddenly judge you when you make a change in your life. Suppose you have been very careful about food all your adult life and have therefore never gotten any flak about your eating from a Critic. Lately you have been working on loosening up, and you are beginning to experiment with being more relaxed and less rigid about food. You might get attacked by an Inner Controller Critic about this. Until this point, it didn’t need to attack you because you were behaving in the way it wanted. Now that you are changing, it has become activated in order to enforce its view of how you should be. Transforming Your Inner Critic using IFS an introductory webinar on September 11, 2017. I have developed a comprehensive understanding of the different forms that Inner Critic parts take and how to transform them using IFS (Internal Family Systems Therapy). IFS is very effective in working with Inner Critic parts when you use my Inner Critic version of the IFS model. Feel free to register even if you can’t make that time. You will receive a recording afterwards. This fall I will be offering a 6-week course by videoconference on transforming your Inner Critic using IFS. I will let you know the schedule in a few weeks. Jeanette had low self-esteem, all her teachers wondered about this. 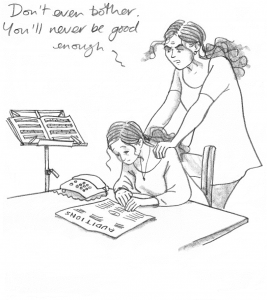 She was musically talented, but had no confidence in herself. She never tried out for the orchestra or school plays. As she got older, this pattern continued and she ended up with minimal jobs. She just assumed that she wouldn’t amount to anything. Every time she had an inclination to reach out and try something, she got a sinking feeling in her chest and gave up on the idea. She didn’t believe she was worth anything or could amount to anything. She had always just assumed that this was the truth about her. She had never seen it as a separate part of her that was giving her these harmful messages. She remembered how a part of her would want to try out for a play but this voice spoke so forcefully that she didn’t. This part is commonly called the Inner Critic. Since Jeanette didn’t know about it, she had no way to communicate with this Critic. She couldn’t confront the source of her negative beliefs about herself. Now that Jeanette became aware of how it was tearing her down and ruining her life, she got very angry at it and wanted to get rid of it. If she had turned to conventional therapy, she might have been encouraged to persuade it to change or simply to overcome it. She would have seen it as the enemy. However, this isn’t very effective. When we battle with the Inner Critic, it can just become more entrenched. Using the IFS (Internal Family Systems therapy) approach, Jeanette explored inside and gradually got to know her Inner Critic. To her amazement, she discovered that this part was actually trying to help her. Even though it was causing hopelessness and depression, it was doing this in a distorted attempt to protect her. It wanted to keep her safe from failure and humiliation, and it figured that the best way to do this was to prevent her from ever trying anything difficult. It accomplished this by constantly judging and discouraging her. However, once Jeanette realized that her Critic was trying to help her, her anger melted and she began to understand and befriend it. In IFS, you never have to fight with a part or try to get rid of it. You can develop a trusting relationship with it and help it to relate to you more constructively. Through her relationship with her Critic, it softened and became less harsh. When Jeanette explored further using IFS, she discovered that there was a different part of her that was receiving these messages from the Critic. This part believed these judgments and felt worthless, defeated, and hopeless. We call this part the Criticized Child. Jeanette realized that she could become a friend to this unhappy child and connect with it from a place of love and compassion. Then using the IFS procedure, she accessed the memories from her childhood of times when she was judged and dismissed and made to feel worthless. The Criticized Child is the part that was hurt by those criticisms. Jeanette could then heal this Child through her love, and help it to release those feelings of shame and worthlessness. As a result, her Critic receded into the background and caused her less trouble. As a result of this work, Jeanette discovered a helpful aspect of her Self that we call the Inner Champion. It has the capacity to support and encourage us in the face of Inner Critic attacks. Jeanette was able to develop and strengthen this part that cares about her and wants the best for her. Her Inner Champion told her that she has a lot of talent and can accomplish great things in the world. She learned to evoke it when necessary and take in its support. This helped Jeanette to take the risk to develop her musical talent and try out for performing positions. She moved ahead professionally in a career that she really loved. As her Inner Champion took over for her Inner Critic, she became more self-confident and happier in many aspects of her life. Which Inner Critic Types Are More Trouble for You? 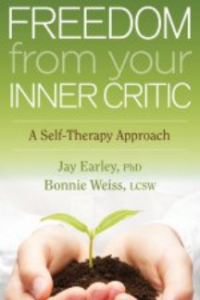 In our study of the Inner Critic, Bonnie Weiss and I have identified seven specific types of Critics. Each type of Critic has a different motivation and strategy, and identifying which Critics are affecting you can be useful. The Perfectionist tries to get you to do everything perfectly. It has very high standards for behavior, performance, and production. When you don’t meet its standards, the Perfectionist attacks you by saying that your work or behavior isn’t good enough, which makes it hard to finish projects. Sometimes the Perfectionist even makes it difficult to get started, as with writer’s block. The Inner Controller tries to control impulsive behavior, such as overeating, getting enraged, using drugs, or engaging in other addictions. It shames you after you binge, use, or react with rage. It is usually in a constant battle with an impulsive part of you. The Taskmaster tries to get you to work hard in order to be successful. It attempts to motivate you by telling you that you’re lazy, stupid, or incompetent. 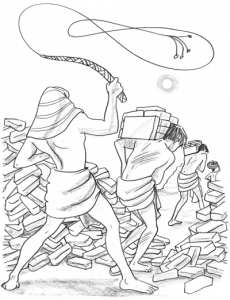 It often gets into a battle with another part that procrastinates as a way of avoiding work. The Underminer tries to undermine your self-confidence and self-esteem so you won’t take risks that might end in failure. It tells you that you are worthless and inadequate and that you’ll never amount to anything. It may also try to prevent you from getting too big, powerful, or visible in order to avoid the threat of attack and rejection. The Destroyer attacks your fundamental self-worth. It is deeply shaming and tells you that you shouldn’t exist. You might experience the Destroyer as a crushing force that wipes out your vitality or a pervasive negative energy that stamps out any sign of creativity, spontaneity, or desire. The Guilt Tripper attacks you for a specific action you took (or didn’t take) in the past that was harmful to someone, especially someone you care about. This Critic might also attack you for violating a deeply held value. It constantly makes you feel bad and will never forgive you. It might also make you feel guilty for repeated behaviors that it considers unacceptable, in an attempt to get you to stop. The Conformist tries to get you to fit a certain societal mold or act in a certain way that is based on your family or cultural mores. This mold can be any kind: caring, aggressive, outgoing, intellectual, or polite. 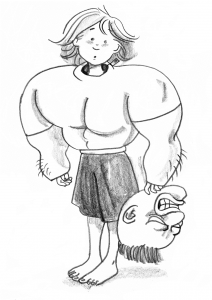 This Critic attacks you when you don’t fit into that mold and praises you when you do. You can take a quiz to learn which of these types are more trouble for you. Learn how to transform your Inner Critic and develop self-esteem using Internal Family Systems Therapy. Feel free to register even if you can make that time. You will receive a recording of the webinar afterwards. This will be followed by a six-week Inner Critic Course by videoconference.